We have some new neighbors moving in next door to us very soon! The house was a foreclosure and was sitting vacant for quite some time before it was purchased, gutted and completely renovated. It’s been stressful being so incredibly close to all of that construction, but it comes with the territory of urban living and they are finally in the home stretch of getting it done! In case you are looking for an easy yet personal housewarming gift idea, I thought I would share what I put together for them. To make the bucket look cute, I wanted to include something handmade. 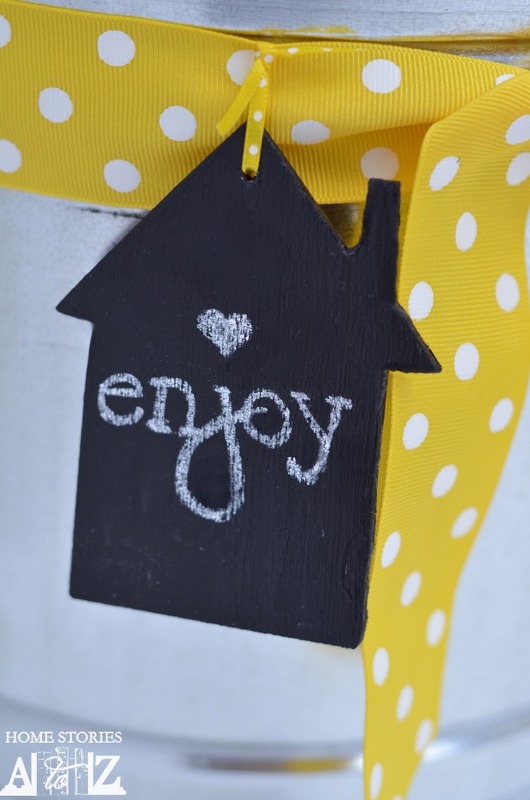 I created a chalkboard tag using a scrap piece of hardboard, a jigsaw, a drill, and some chalkboard paint. 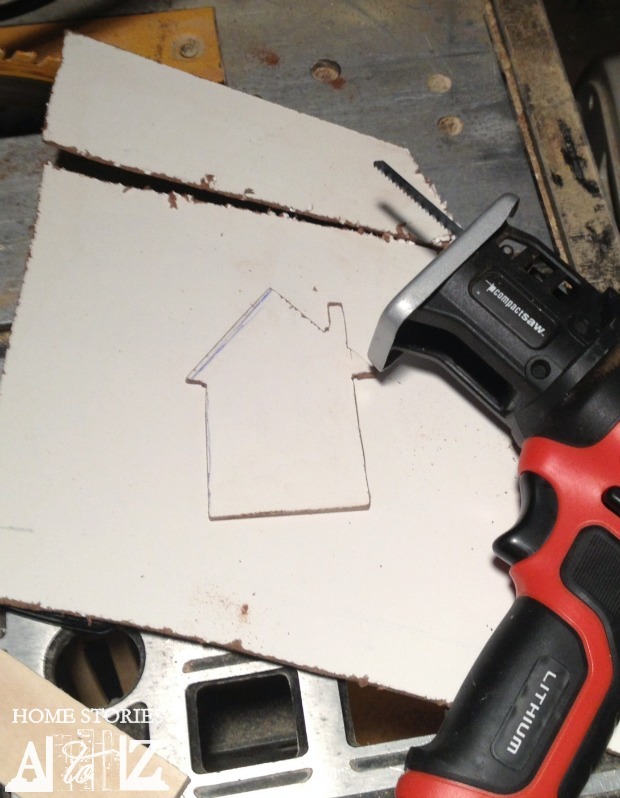 Step 1: Create a pattern of a house and trace it onto your hardboard. Step 2: Use a jigsaw to cut out your tag. Drill a small hole at the top. 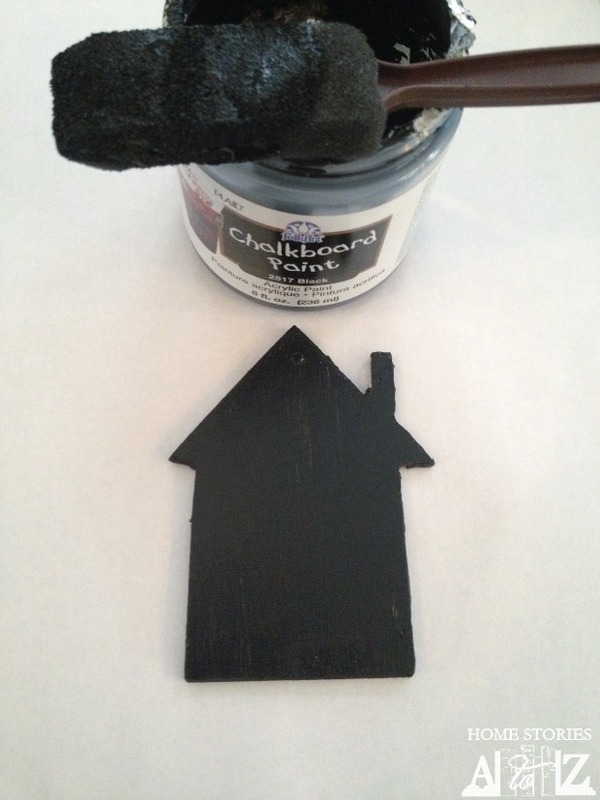 Step 3: Paint the tag with chalkboard paint. I love the way it turned out! You could easily do this with other shapes to make personalized labels or chalkboard Christmas ornaments. I hope our new neighbors will feel welcome and enjoy living here as much as we do! 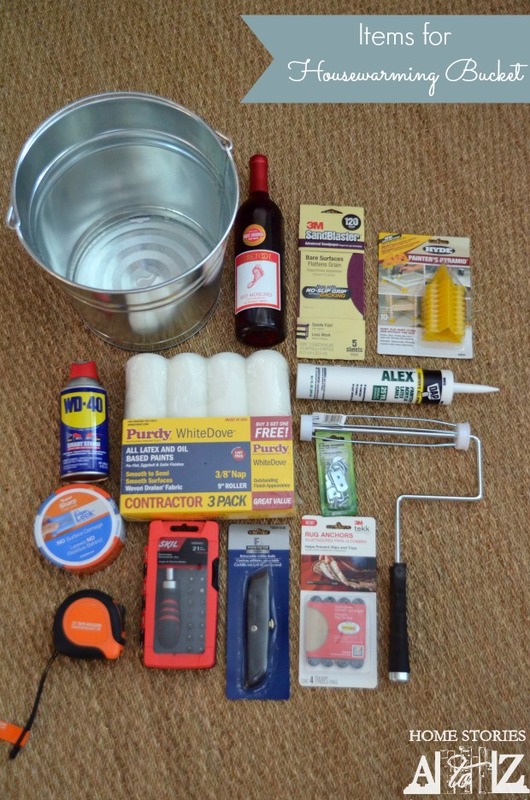 This post fulfilled my Lowes Creative Ideas Blogger challenge to come up with a “creative gift idea” for this month. 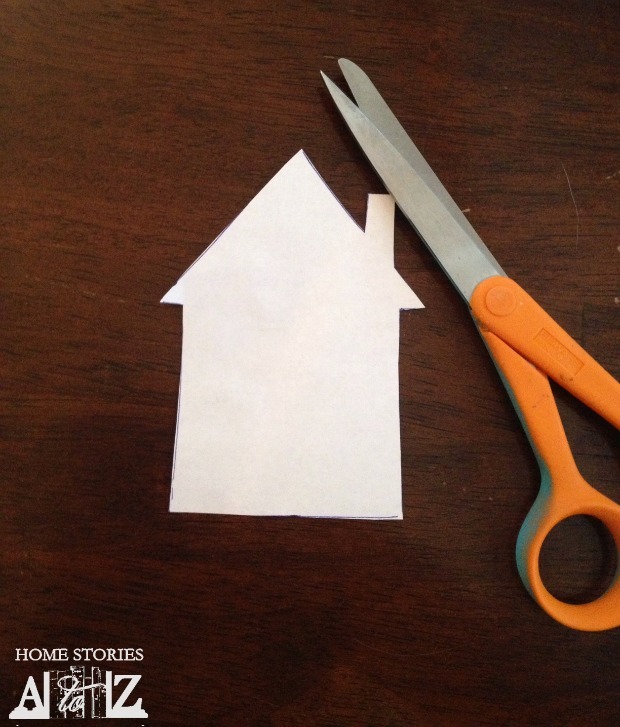 To check out what other Lowes Creative Ideas Bloggers created this month be sure to visit the website at Lowe’s Creative Ideas. 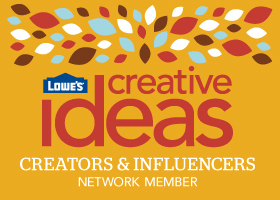 You can also follow Lowe’s on Instagram, Pinterest and sign up for the Creative Ideas magazine and app! *Disclaimer: As a member of the Lowe’s Creative Ideas Creators and Influencers network, I received a Lowe’s gift card to complete this project. All ideas, instructions, and opinions are completely my own. This would be an awesome gift!! What a great idea and the tag is adorable! 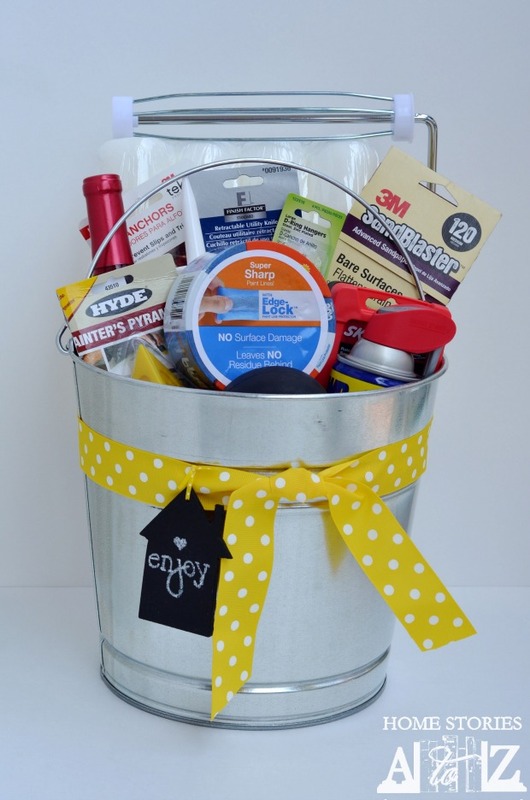 I love this idea, a neat twist on a housewarming gift.